It’s no secret that modern-day life is filled with stress. Sometimes, you just want to get away from it all – and that’s when you need to escape to a de-stress-tination. The team at Cheapflights have compiled the best spots in some of the busiest cities around the world where you can escape the hustle and bustle and find a sweet slice of serenity – even in the midst of a buzzing metropolis. Take some time to look after your inner self with a zen-inducing getaway to one of these de-stress-tinations. As one of the busiest cities in the world, New York doesn’t exactly scream relaxation – after all, the Big Apple boasts a population of more than 8 million and when it comes to tourists, popular destinations like Times Square see about 26 million visitors a year. But there are plenty of places to escape the hectic pace of the city. Central Park: Escape to Central Park mid-week, and you might feel like you have the Big Apple all to yourself. 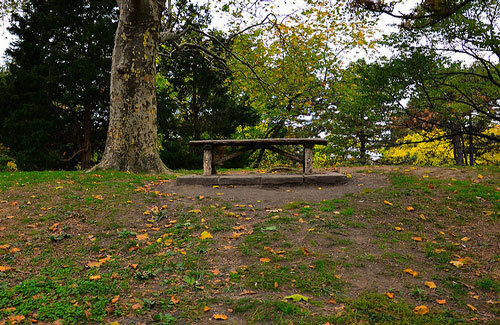 The 843-acre park offers plenty of space for you to reconnect with yourself amid some of the most tranquil gardens and green space in the city. Rubin Museum of Art: Get your Zen on at the Rubin Museum of Art, which offers an ongoing meditation program with short film screenings and lectures meant to help you discover your own path to inner peace. Barbiere: Gentlemen, you’ll find yourself in a simpler time when you treat yourself to a straight-razor shave and haircut at Barbiere, an old-school Italian barbershop fit for Mad Man Don Draper himself. Sure to help you de-stress is the complimentary glass of whiskey, not to mention the indulgent hot towel experience. 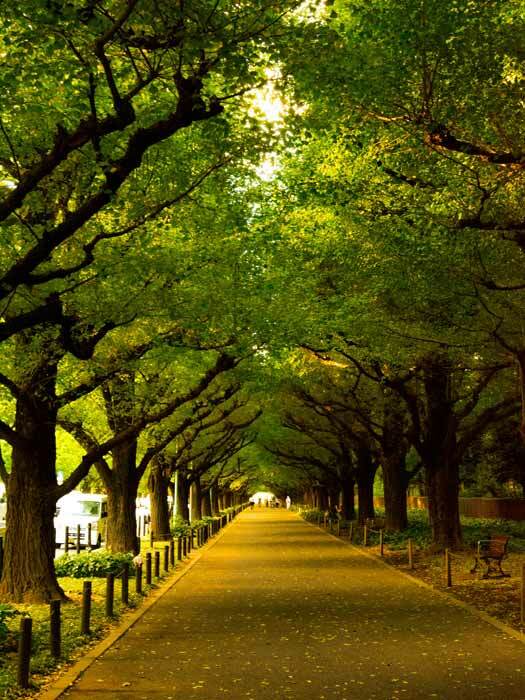 Meiji Jingu: Surround yourself with calm-inducing shrines amid a canopy of trees in the heart of the city. A thick forest separates the shrine from the busy city, and gardens enhance the complex’s zen-like qualities. Koishikawa Korakuen Gardens: Rolling hills, flowering trees and rice paddies take you back to basics in a beautiful way at this collection of gardens. Wander the stone bridges or reflect by a pond as you enjoy the relaxing quiet of Koishikawa Korakuen Gardens. Nakameguro Taproom: Nothing says “relax” like a frosty glass of beer, and you’ll find just that at Nakameguro Taproom. Known for its craft beer and New Haven-style pizza, this local joint is well loved in the city for its friendly, relaxing atmosphere. Saint Sulpice Church: The baroque architecture of this Roman Catholic church is quite the sight to behold — stunning setting to help you appreciate the beauty that surrounds you. 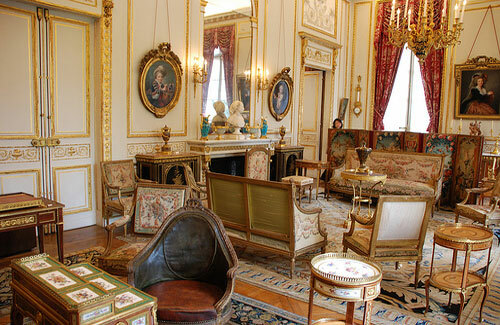 Musee Nissim de Camondo: Skip the crowded museums and appreciate art in a much more refined, intimate setting at Musee Nissim de Camondo. Once a private mansion, the exquisitely decorated home now offers a look at how France’s aristocratic class once lived. Le Leche Vin: De-stress in true French fashion at this modern wine bar, an intimate bistro that’s considered a must-visit during a trip to Paris. The atmosphere is decidedly relaxed, friendly and welcoming, perfect for an evening of decompressing in Paris. Beaches: All of Cape Town‘s local beaches boast Blue Flag status, which means they have the highest quality waters, environments and facilities for visitors to enjoy. Nothing will relax you quite like kicking back on the shores of the city. Heavenly Spa: After the beach, spend the afternoon releasing any pent up tension with a treatment at Heavenly Spa. Not only can you pamper yourself with your choice of spa treatment, but you’ll also enjoy gorgeous views of the city from this 19th-floor spa facility. 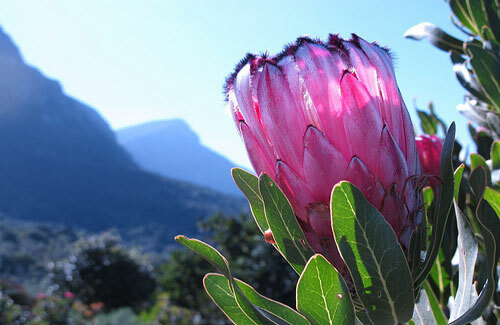 Kirstenbosch National Botanical Garden: Reconnect with nature — and yourself — at this beloved botanical garden, whose seemingly endless fields of flowers, trees and other plants sit in eye-catching contrast against the towering Table Mountain. More than 88 acres of green space invite you to find a stretch of serenity to call your own. 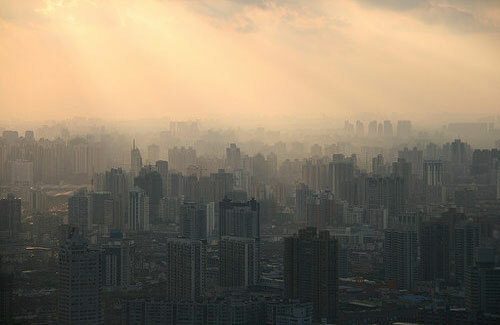 Former French Concession: You wouldn’t expect to find a slice of Paris in the heart of Shanghai, but the tree-lined streets and European architecture that define this 20th-century neighborhood are decidedly French — and perfect for travelers looking to relax in the city. Wander under the canopy of trees, browse the quaint boutiques throughout the neighborhood and enjoy the architecture in this quiet, casual place. Skin City 5.5: They say when you look good, you feel good, so why not treat yourself to a rejuvenating treatment at Skin 5.5? Treatments restore your skin to the ideal pH of 5.5, and you’ll find it quite difficult to feel stressed out while receiving a top-notch facial. Flair: The incredible rooftop views, Asian-inspired tapas and casual atmosphere of this Ritz-Carlton affair make it well worth the price. Sink into a plush outdoor lounge chair, order a cocktail and nosh on fresh seafood as you treat yourself to an evening of relaxation above the busy streets of Shanghai. 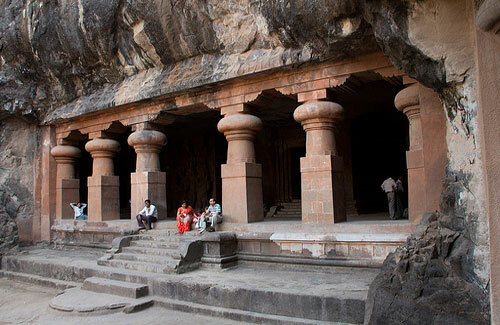 Elephanta Island: You’re all set to unwind as you enjoy views of the water with a short boat ride to Elephanta Island, where incredible temples cut from the isle’s natural basalt rock await. As you marvel at these ancient creations, the stress of modern life will all but disappear. Oval Maidan: Unwind as you take in a cricket match at Oval Maidan, a large recreational park where both formal and informal games take place throughout the week. The towering architecture of Bombay High Court in the background is an eye-pleaser as you relax in this quiet park. Spa at Four Seasons: You’ll feel like you’re a world away from the frenzied pace of Mumbai as you retreat into one of the Four Season’s private spa suites. Indulge in an Indian-inspired ritual, center yourself with a yoga class or care for your body with an Ayurvedic treatment. Queen Elizabeth Park: There is something for everyone to enjoy at Queen Elizabeth park. 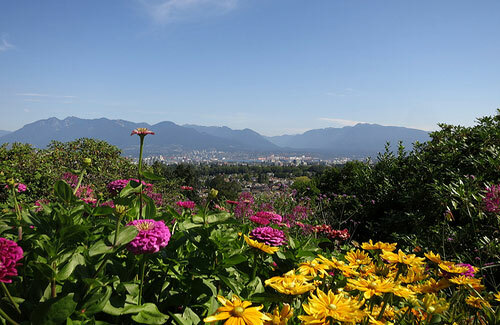 The outdoor gardens, with their colorful array of flowers and plants, offer a relaxing setting in this Canadian city, while the views of Vancouver and the surrounding mountains also help you find tranquility. Public art and performers add another playful element to the park’s experience, and activities like tennis, lawn bowling and roller hockey let visitors de-stress on their terms. Deep Cove: When visiting a coastal city, there’s no better way to unwind than to get out onto the open water and let the waves wash the stress away. In Vancouver, kayaking is the water transportation mode of choice, and at Deep Cove, you’ll find all the equipment, lessons and open water you need to de-stress – Vancouver-style. Prospect Point: This cafe at Stanley Park was seemingly designed for stress-filled travelers looking for a way to relax. Sip on locally roasted coffee, treat yourself to a creamy scoop of ice cream or enjoy a casual meal as you overlook the cruise ships and Lions Gate Bridge from one of the most widely acclaimed viewpoints in the city. Bonnington Square Garden: This community garden offers a new perspective on daily living. Each plant and tree that greets you is cared for by local residents, creating a sense of community that’s palpable as soon as you come upon the square. Be sure to visit the low-key and quirky Bonnington Cafe, whose ever-rotating menu of vegetarian fare takes on new international inspiration each day. 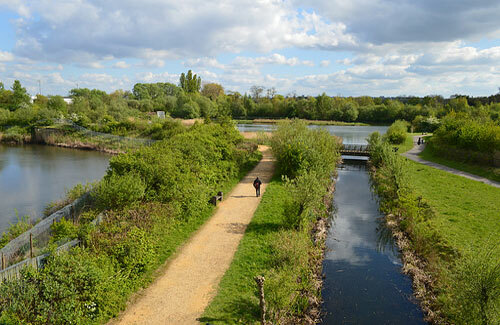 London Wetlands Centre: Wildlife and nature rule at the London Wetlands Centre, a surprising natural escape for those visiting the city. Ponds, lakes and gardens help the tension melt away, while an assortment of birds, frogs and dragonflies draw your focus away from your worries and onto your breathtaking surroundings. Ushvani: If you enjoy a sense of luxury when you need to unwind, look no further than Ushvani. This award-winning day spa nurtures body, mind and soul with traditional treatments, restorative ingredients and exotic decor. Spielwiese: If you’ve ever wished you could be a stress-free kid again, channel your inner child at Spielwiese. More than 1,000 board games will take you back to the good old days as you spend an afternoon playing the likes of Monopoly and Risk. Volkspark Friedrichshain Park: The city’s oldest park is also one of the best places to escape the stresses of modern Berlin. Long stretches of green grass, tranquil water features, popular “bunker” mountains and old war memorials greet guests in this urban oasis. Stadtbad Neukölln: This spa is a delight for the eyes, thanks to its stunning Old World architecture. Corinthian columns line the pools and make it close to impossible to unwind. After a dip in the pool, guests can unwind in the Finnish sauna or sweat it out in the steam room. Royal Botanic Gardens: There’s something decidedly relaxing about the meticulously maintained grounds of Sydney’s Royal Botanic Gardens. Not only will you de-stress as you enjoy the gardens themselves, but the views of the harbor in the distance add another element to your relaxing experience. 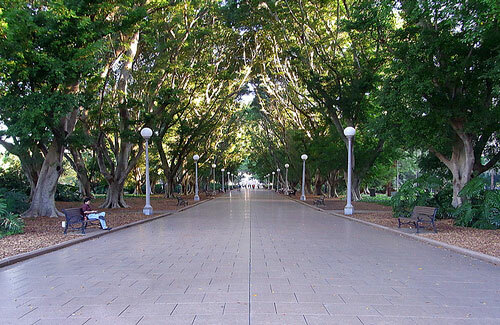 Hyde Park: As the country’s oldest park, Hyde Park has long been a respite for weary Aussies looking for a space to recharge. Make it your own de-stress-tination as you enjoy nearly 40 acres of green grass under a canopy of trees. 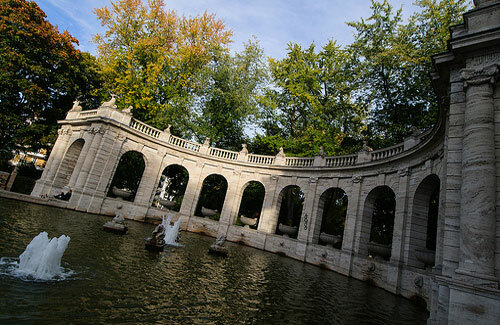 A reflection pool and various monuments let you immerse yourself in the Hyde Park experience. Sydney Harbor: The fresh ocean air is immediately relaxing as you stroll along the picturesque Sydney Harbor. Take your relaxation to the next level by leaving the shore behind with a ferry tour on the water. Lumphini Park: You wouldn’t expect to find such a green paradise in the heart of a city like Bangkok, yet Lumphini Park continues to offer a quiet, natural respite in the city. Head to the park early to join in one of the city’s famed outdoor workouts, which everyone is welcome to participate in. Golden Mount: When you need to take a walk to clear your head in Bangkok, avoid the non-stop bustle of the likes of Kao San Road and instead head to the Golden Mount. The paved path to the top of the mountain is tranquil, as are the grounds themselves. 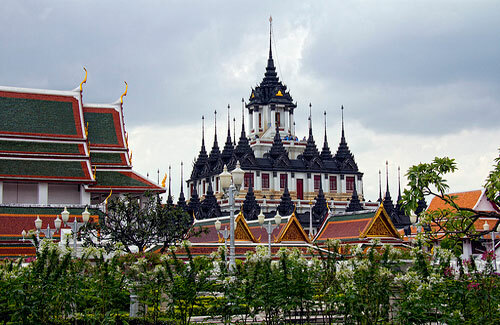 Loha Prasat Wat Ratchanatdaram: This distinct temple is a sight to behold, and luckily, it doesn’t typically draw the crowds that other monuments in the city do. The 37 metal spires that top the monument each represent a virtue to attain enlightenment, a fitting reminder for your de-stressing getaway.